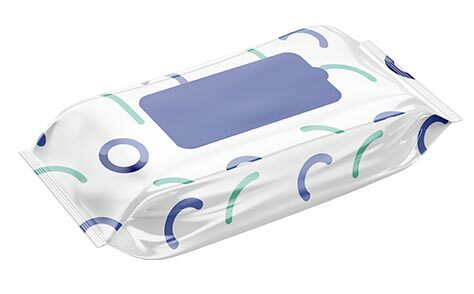 For this product we have developed a special construction of FLEX FLOW laminate dedicated to aggressive fillings which are liquids for wet wipes. The laminate provides the appropriate shelf-life length and low weight loss of the packaging. In addition, the laminate do not discolour or delaminate, even with the most sensitive notches, allowing multiple opening of the packaging. We can print up to 10 colours on the laminate in HD quality.